Here is a list of 10 must have fonts for Sure Cuts A Lot crafters, or any crafter! These fonts are perfect to use to create beautiful signs, t-shirts, vinyl decals, or anything else your imagination can come up with. I made sure to only select fonts that are PUA encoded so they are fully accessible to the Sure Cuts A Lot or any electronic cutting machine software programs. Every crafter needs a beautiful in their library. Perfect for making signs and jewelry as gifts or to sell. 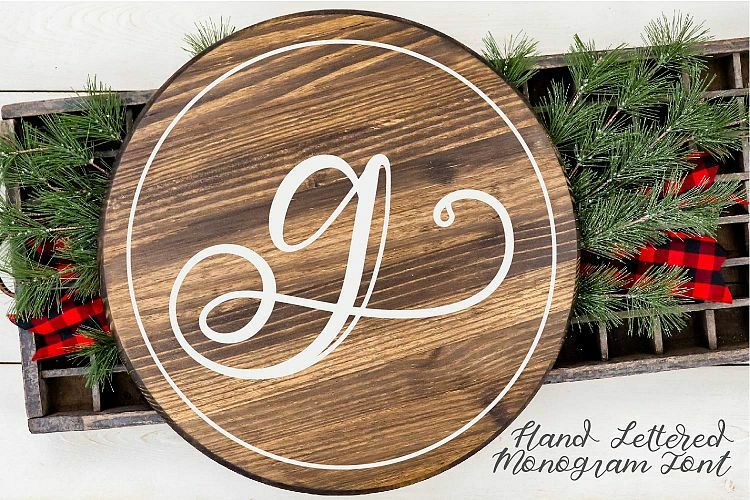 This a gorgeous modern single letter style that fits with every design aesthetic. Pathways is a script typeface available in 3 different styles: Circular Strokes, Rectangular Strokes and a Rough Version for a printed aesthetic. 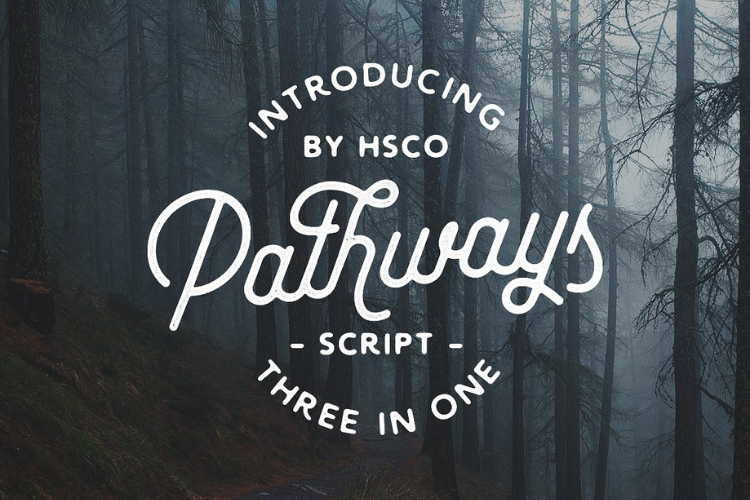 With many alternate characters & ligatures, Pathways is an extremely versatile Script Typeface. Developed with Logo & Label Designers in mind, Pathways will be a useful tool in your arsenal! This typeface will be a treat for you to use and will find it's way into many projects with it's clean and versatile styling. 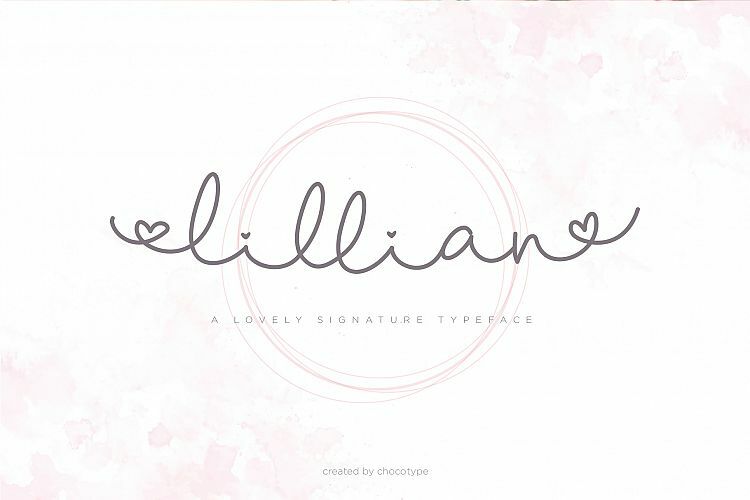 Lillian is a lovable script with bouncy swashes, perfect for making wedding gift signs. It has a large variety of alternate characters, allowing you to make each word look completely unique to the next! 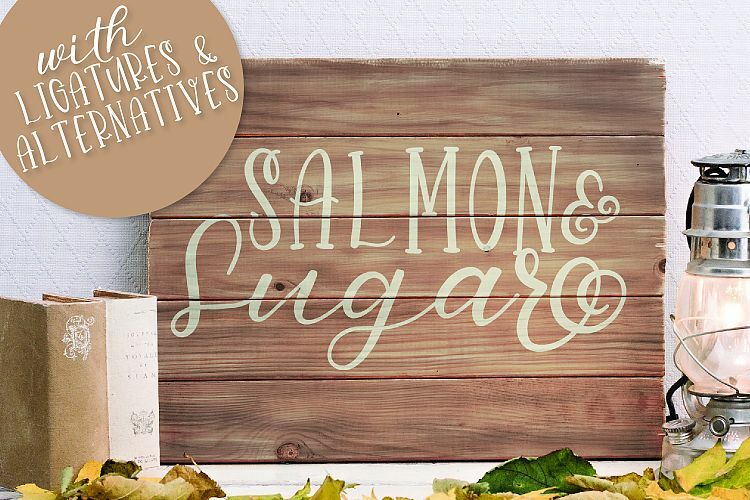 Salmon and Sugar is a beautiful font duo that will work with any type of project. This coordinates with the monogram font above as well! There are over 100 ligatures and alternative options included too so you can customize to your heart's content. 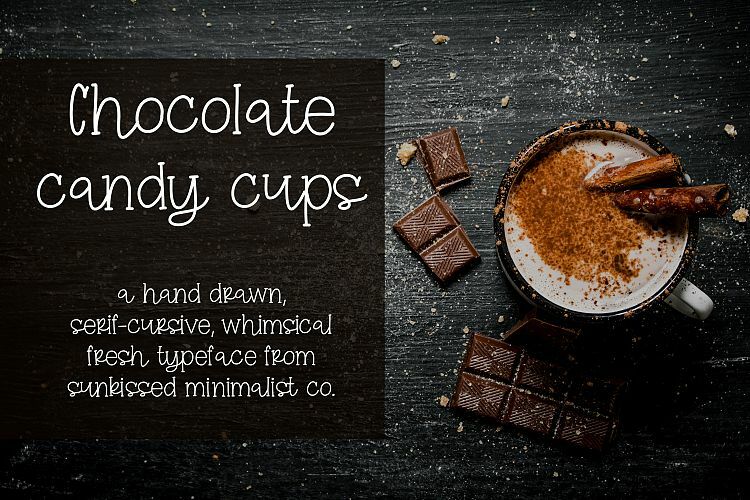 Chocolate Candy Cups is a hand-drawn font that incorporates the charming qualities of a serif print with the ease of a cursive typeface. It is whimsical, fresh, and perfect for a multitude of different things. This would make great labels for kitchen containers! 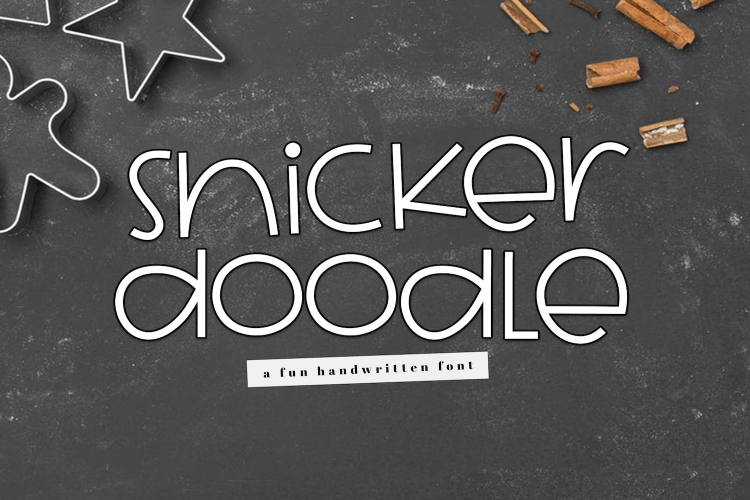 Snickerdoodle is a cute handwritten font. This font is perfect for quotes, headings, designs, logos, invitations and more! This would be awesome used on a mug with a fun phrase. 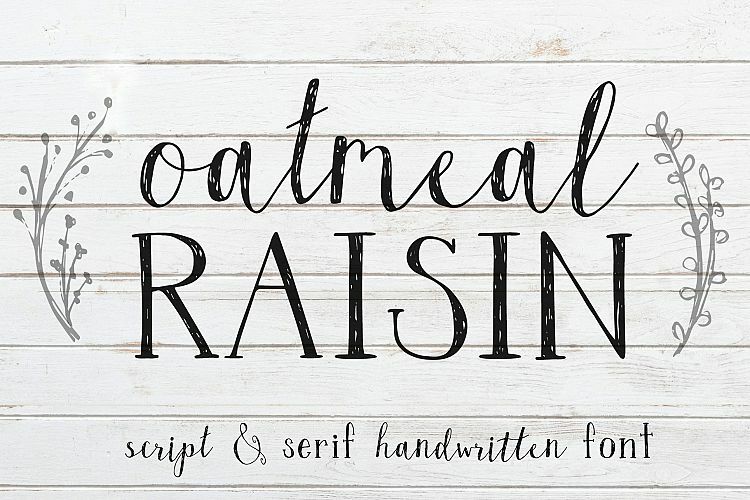 Oatmeal Raisin is a rustic handwritten font inspired by the feeling of a fall afternoon and the smell of warm cookies baking in the oven. This font duo is perfect for blog posts, packaging design, logo creation, branding, and more! It has a full script and serif style including punctuation and multilingual (Western European) support. It features standard and discretionary ligatures. Also included is an uppercase serif alphabet of botanical monograms and doodles all in AI file form. 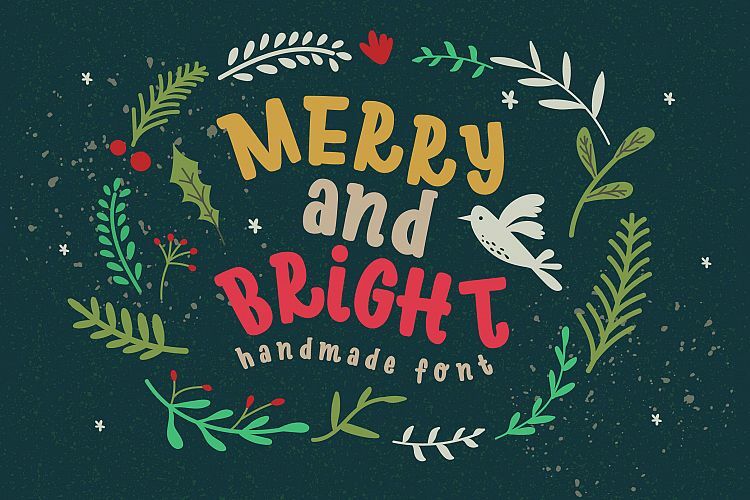 Merry Bright is a handmade typeface perfect for Christmas postcard, title, poster, textbook and many more. It also comes with cute illustrations as a bonus. This is a great bold font to have in your library and will cut out of vinyl beautifully since its so thick. 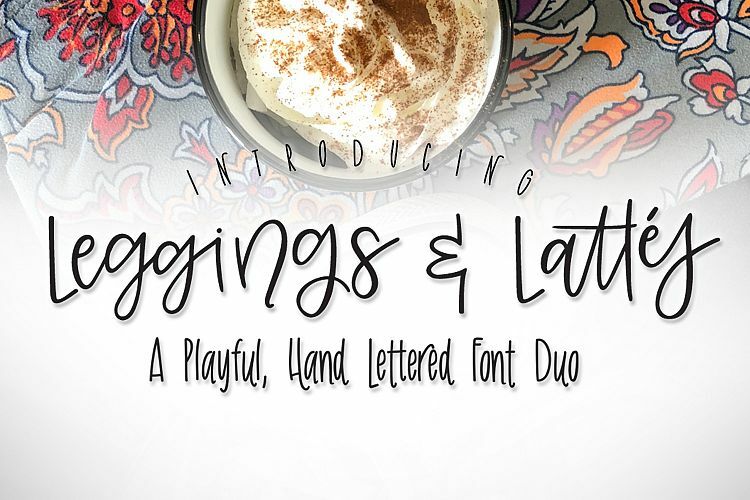 Leggings and Lattes is a hand-lettered, hand-drawn font duo, with lots of alternates so you can get that hand-lettered look & feel without even picking up your pencil! 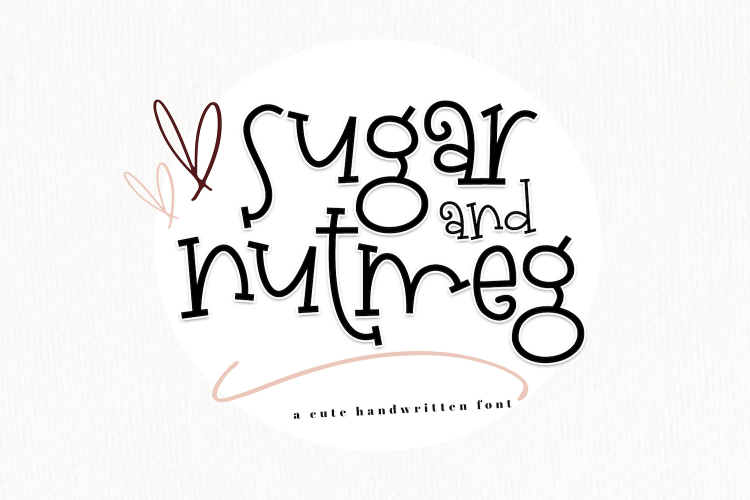 Sugar and Nutmeg is a fun handwritten font. 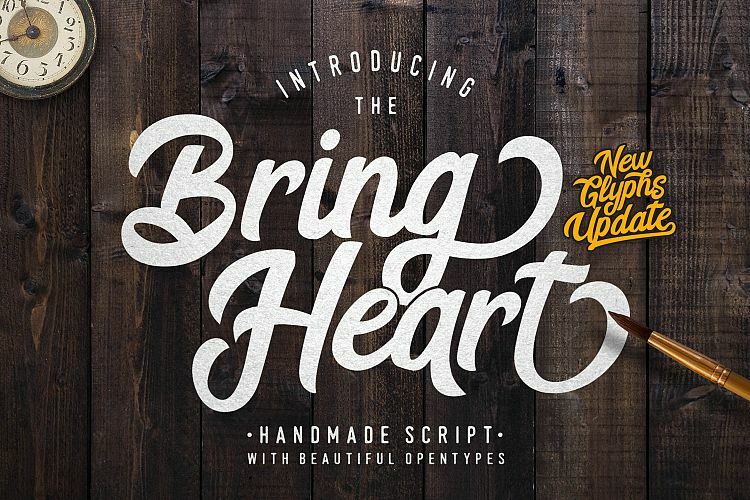 This font is perfect for headings, blogs, logos, invitations and more! A cute serif style font to add a little character to any of your projects. It comes with some bonus doodle font as well! What are you waiting for? Get to work downloading all of these fonts today and start creating some fun and unique projects with your cutting machines today. Make sure to take pictures and tag @fontbundle on social media too! You know I wouldn't forget to make a pin graphic for you to save for later! Go ahead and pin this to your craft board.